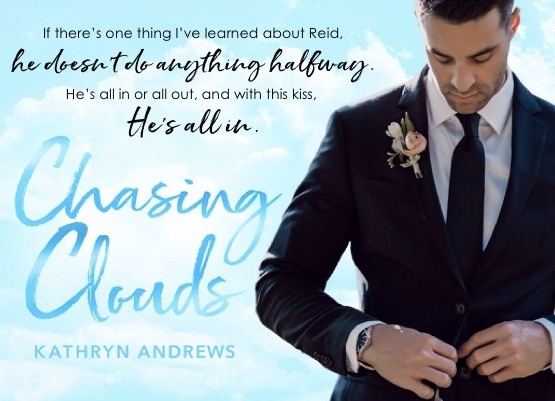 Review – Chasing Clouds by Kathryn Andrews – 5 Magical, True Love Stars!!! 5 Magical, True Love Stars!!! When the feeling to protect Camille overpowers Reid, he finds himself compelled to stand before everyone and declare his objection. Will these strangers find love or has Reid delved into something that could destroy him? Kathryn Andrews has blown me away with Reid and Camille’s story. I was blown away with how their story began and the revelations we discovered as the story progressed. Kathryn Andrew’s pulled out all the stops with this story and she did not disappoint. Chasing Clouds captivated me from start to finish. Had it not been for real life commitments getting in the way, I could have easily sat and devoured this story in one sitting and its a story, I will read again and again. Reid was such a loving, caring, considerate, man. His character was a surprise in some ways. Deep down he was a man who since a child had needed acceptance, he believed he wasn’t truly loveable; how wrong he was. He was a very caring, thoughtful man who took care of the people he loved. He wasn’t unlovable, he was too loveable. At first, I found it difficult to truly discover who Camille was, she seemed so open and friendly, yet at the same time it was clear there was so much more to her than she was telling us. When she truly found herself again, and revealed to us the reader her story, I was shocked, saddened and in a way relived; it was then I knew she could move on and be herself, not allowing others to determine her future for her. Chasing Clouds for me is a magical story, about true love; in some ways it felt like a fairy-tale for adults. 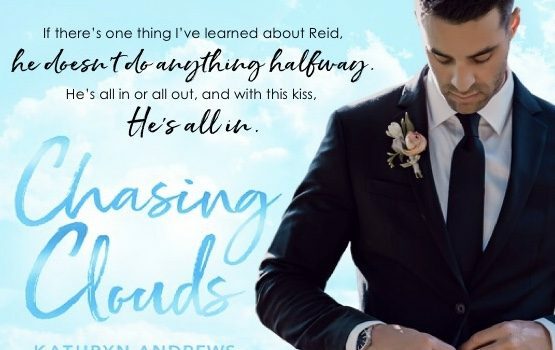 If you love contemporary romances with a deep, intriguing and unique storyline, Chasing Clouds by Kathryn Andrews, is for you.